Don't let stress and worry keep you from having a peaceful night's sleep. Resting in the Word is created to help heal your spirit and quiet your mind. This guided meditation includes some of the most beloved verses from scripture. Each topic includes a short devotional by teacher writer, and host, Connie Minnell, MAT. 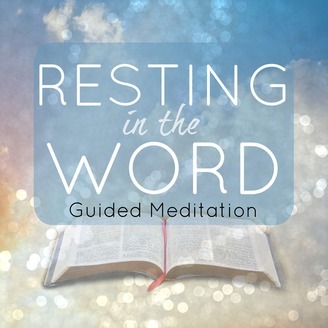 Welcome to episode 4 of Resting in the Word, a guided meditation podcast to help heal your spirit and quiet your mind. A place where you can find peace and comfort without judgment. Today we explore the three main benefits of meditating to scripture, and then relax to ten minutes of meditation highlighted with words of peace from the Bible. 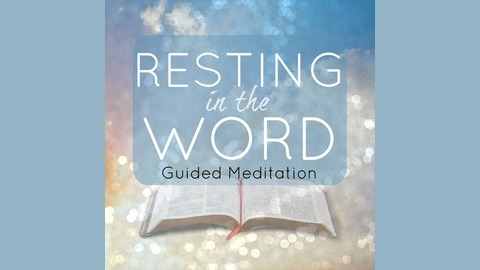 Join teacher, writer and host Connie Minnell and begin Resting in the Word.